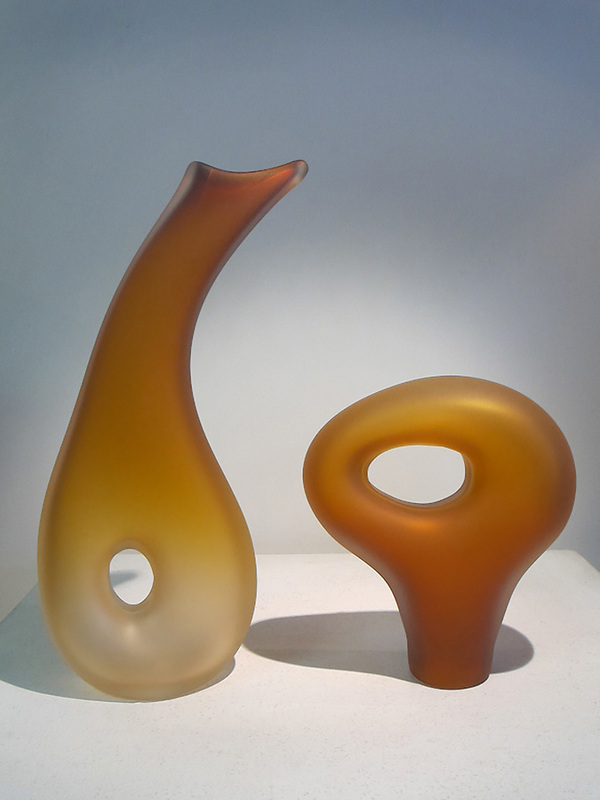 ﻿ The Monolito Glass Collection share similar attributes with the Melange Series; however the scale of these glass forms are smaller in dimension. 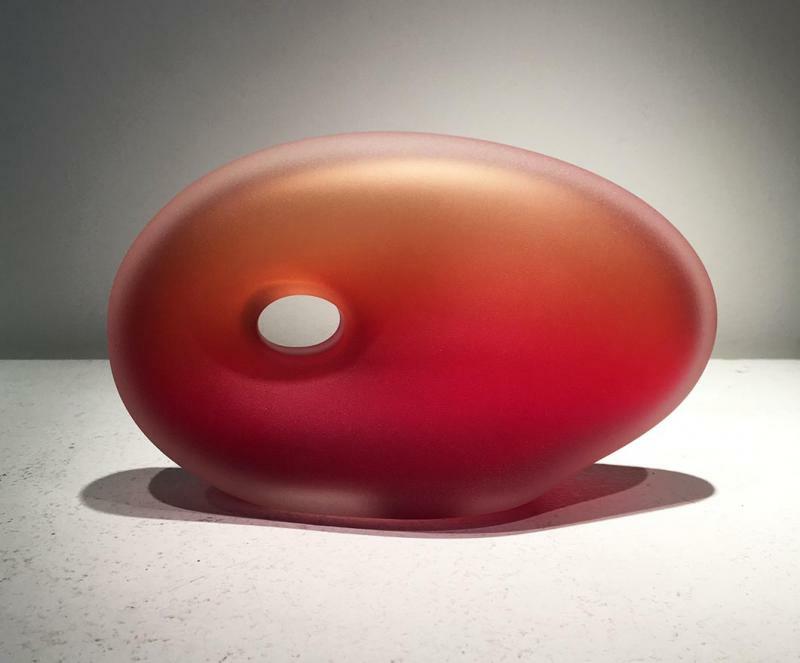 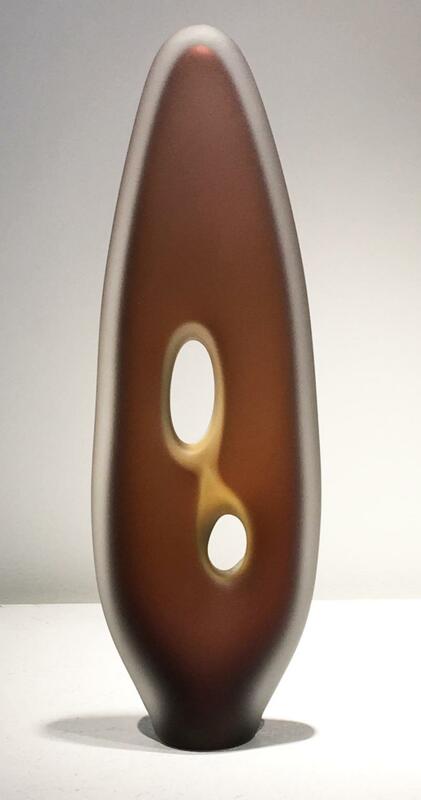 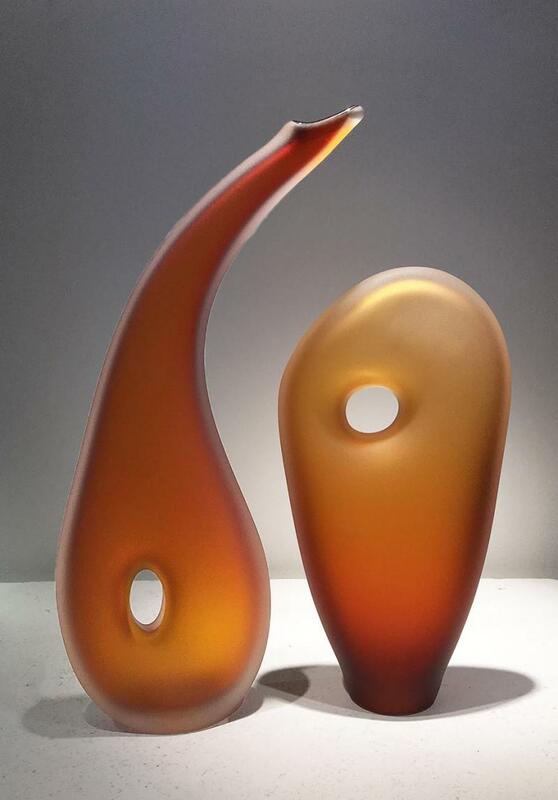 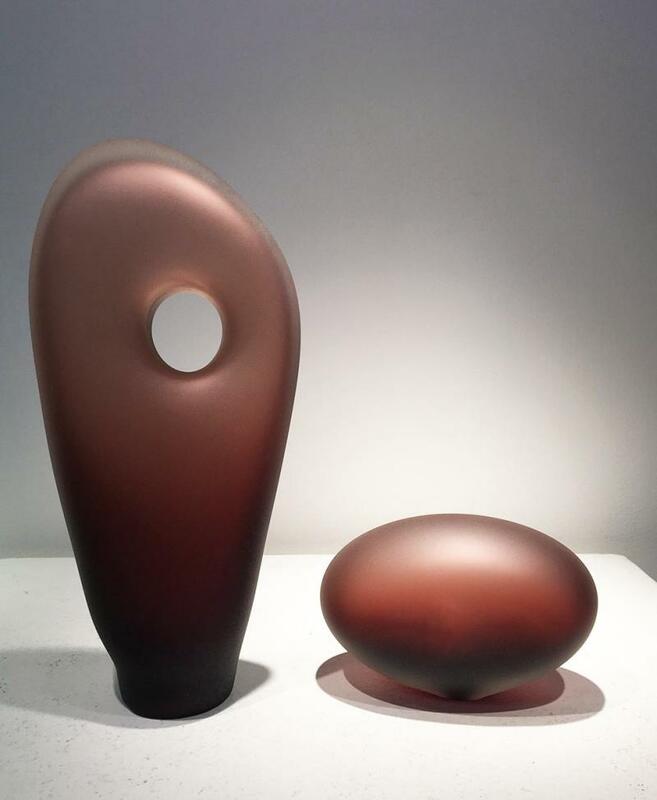 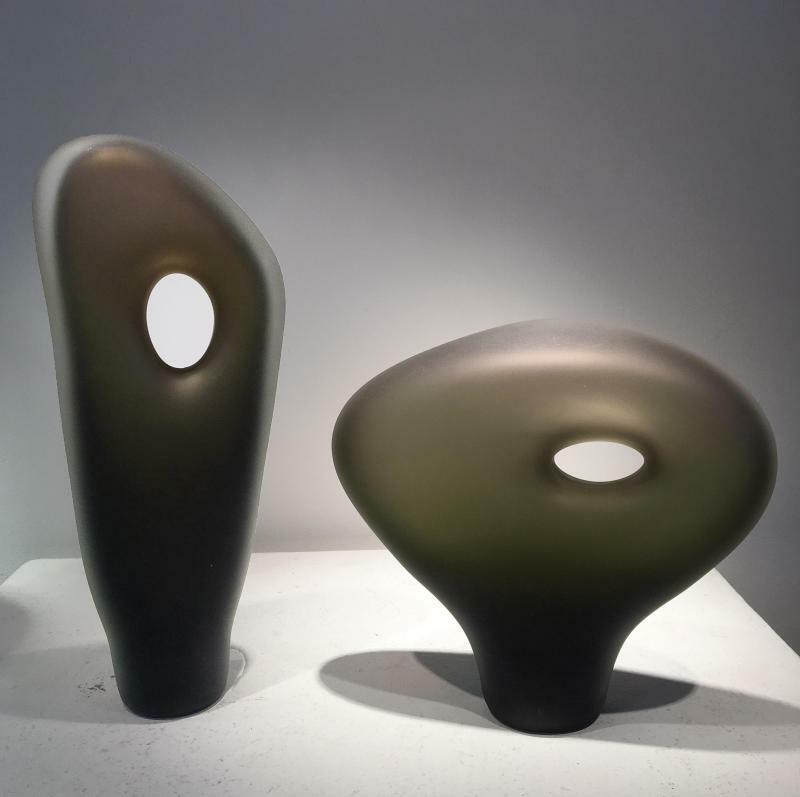 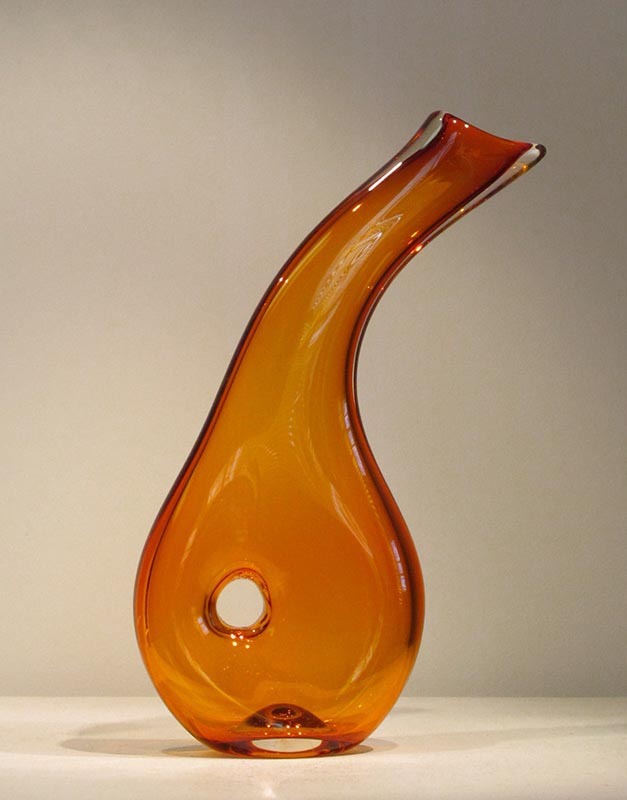 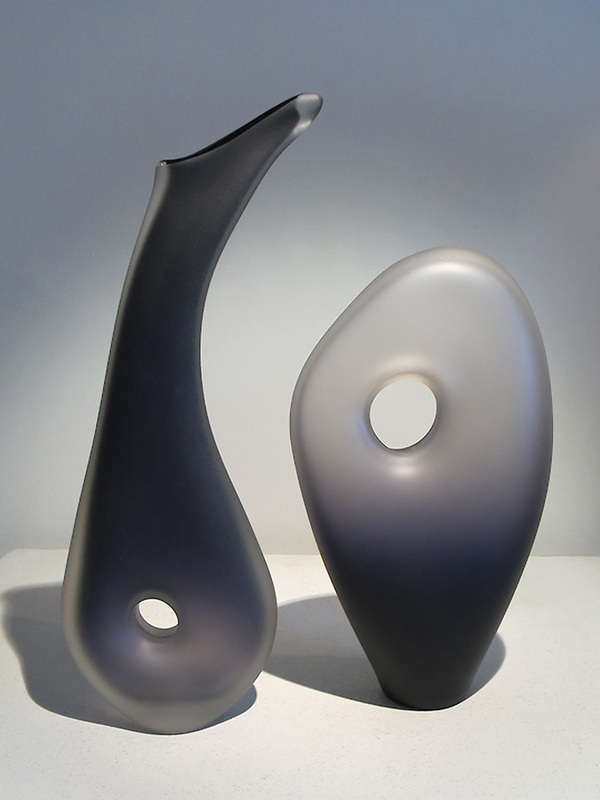 Each work of art is hand blown, cold worked, and sandblasted by artist Bernard Katz. 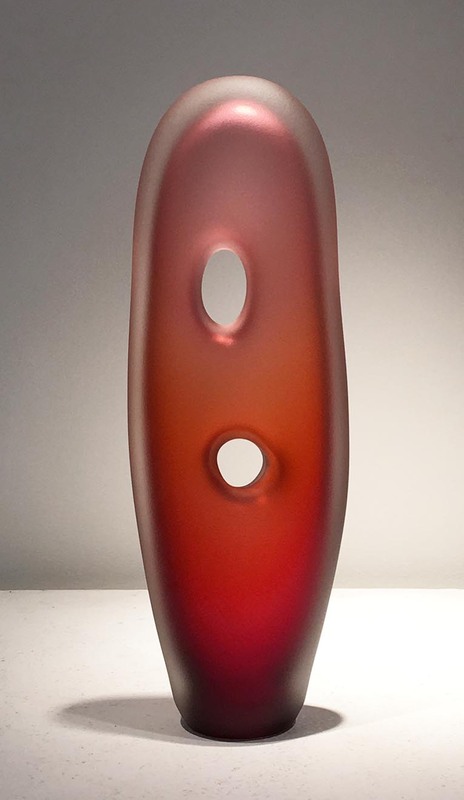 shown in Venetian red color. 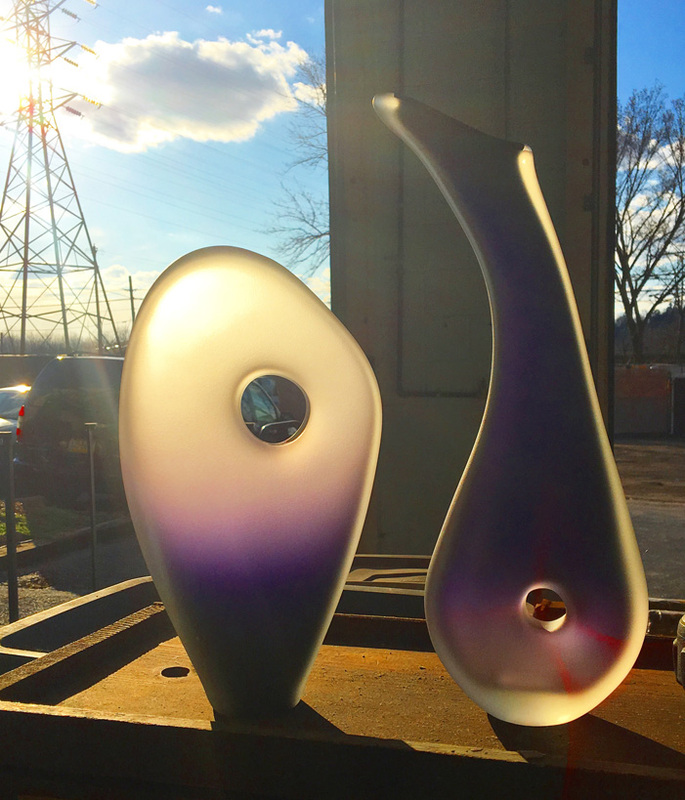 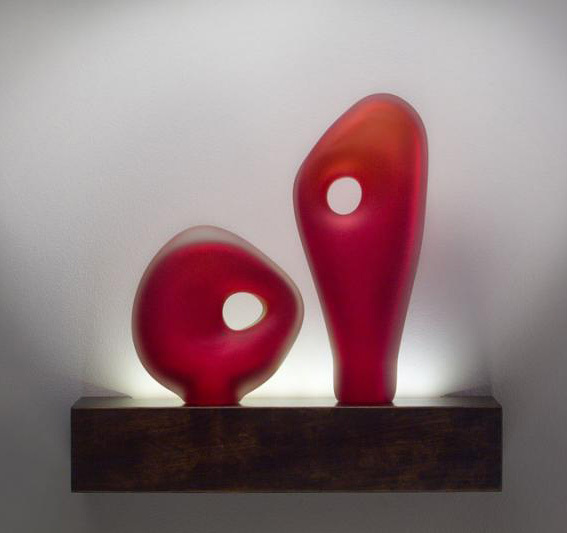 Exploring both the use of positive and negative space within and between the glass sculptures. 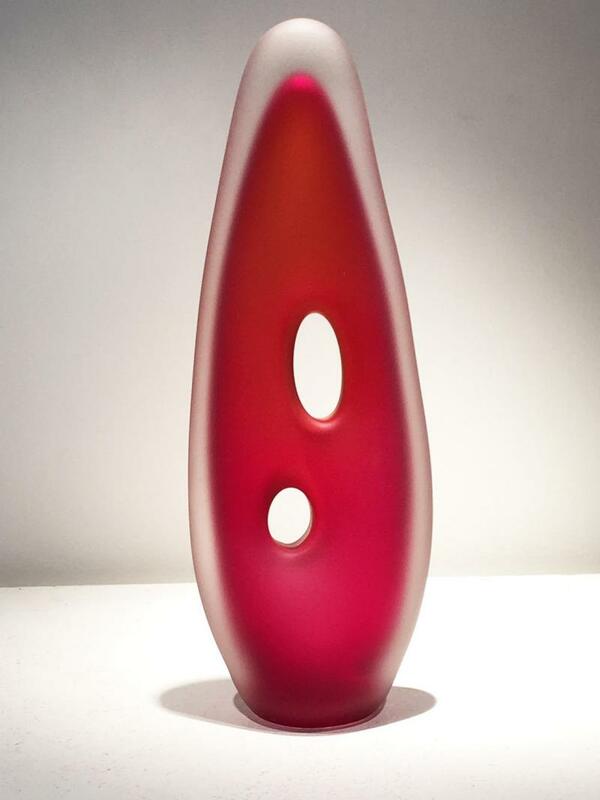 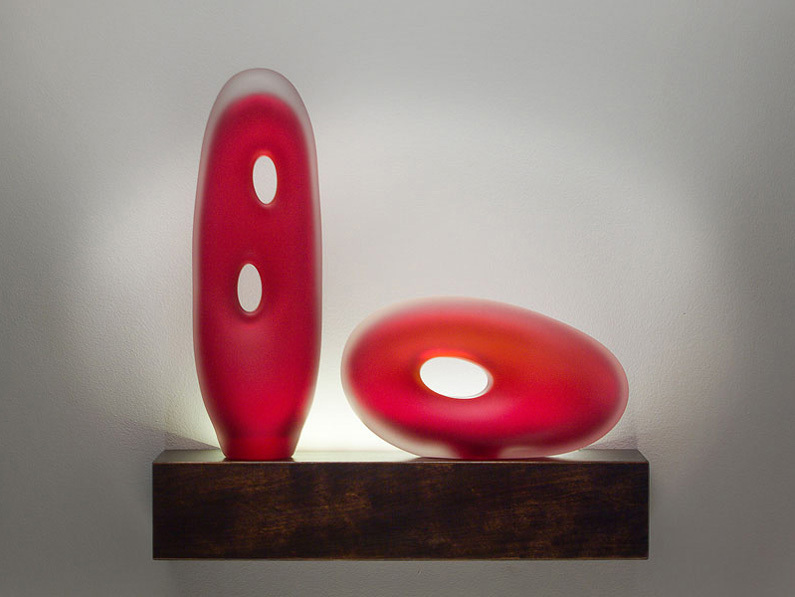 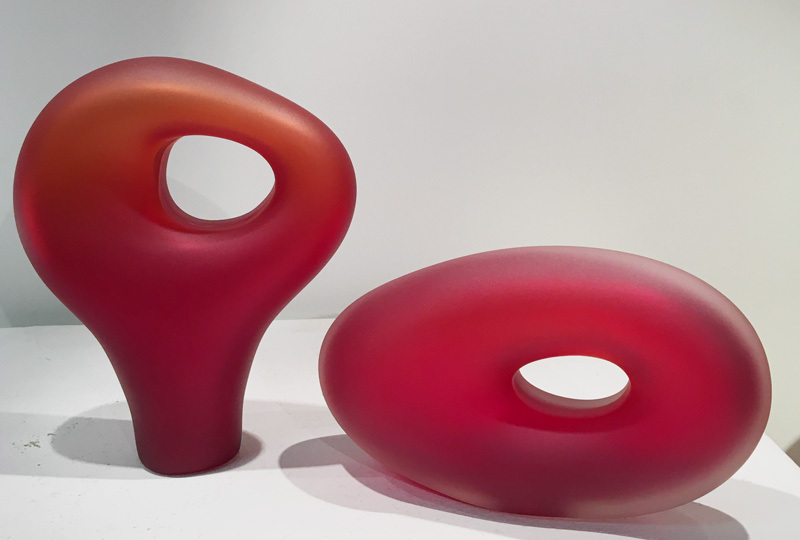 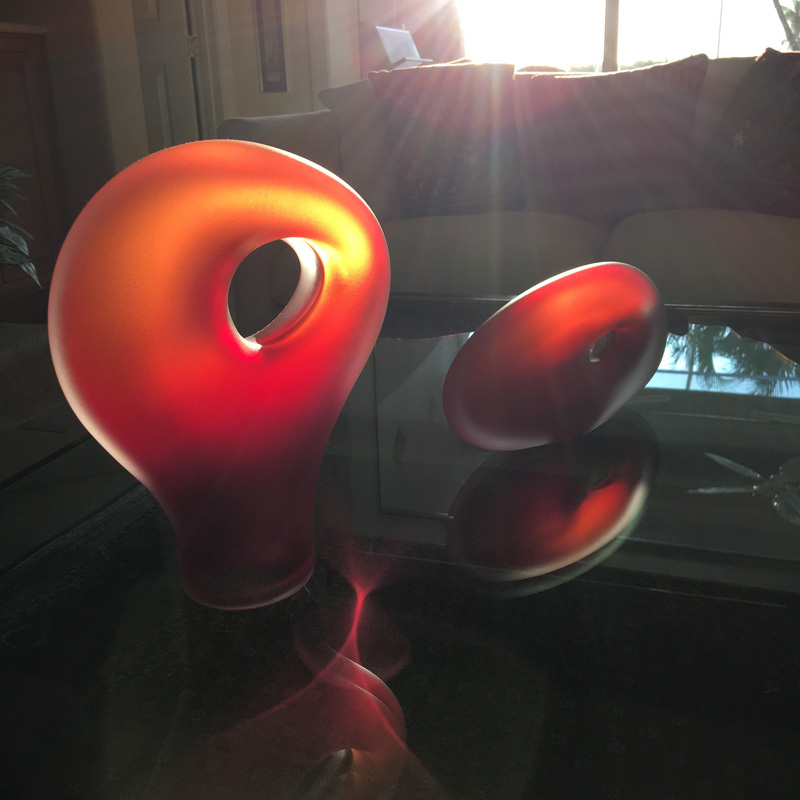 This Monolito sculpture set of the Muno and Tulum glass forms shown are in the red color.